How To Make Fresh Squeezed Lemonade is essential to know!! It's true! Only fresh squeezed lemonade can satisfy when you have a craving for that lip puckering, tangy, sweet goodness!! Lemonade mixes and frozen concentrates will never even come close to the real stuff!! Luckily, Fresh squeezed lemonade is quick and easy to make at home, and you are able to control how sweet or tangy you make it!! I like my lemonade lip puckering good! The kind that makes your mouth water just thinking about how tangy it is!! By making a lemonade syrup, you are able to customize each glass of lemonade simply by adjusting the amount of water you add. I love that! It also makes it easier to take to BBQ's. Just make it up, pop on the lid and you are ready to go! When you get to the BBQ you just need to add water. You can do that in a pitcher or in individual glasses. Lemonade syrup is very versatile like that! Fresh Squeezed Lemonade is what I'm bringing to our big virtual #SundaySupper Summer BBQ today! This event is being co-hosted by Jennie of The Messy Baker and Melanie of Melanie Makes. Thank you for hosting our virtual BBQ Jennie and Melanie!! Disclosure: Life Tastes Good is a participant in the Amazon Services LLC Associates Program, an affiliate advertising program. Please note: This post contains affiliate links, which means I earn a commission if you make a purchase through a link in this post. 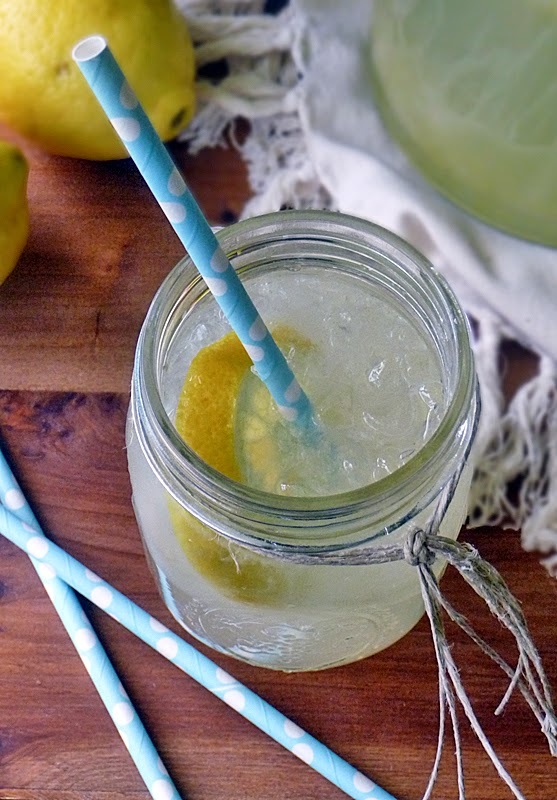 Fresh Squeezed Lemonade is perfect for a summer BBQ! It's hot out there folks!! What better than tangy, sweet lemonade to keep you cool?! Lemonade goes great with everything and is always a hit too! You can even add some fresh fruit to create different flavors. I love strawberries or raspberries! Put 1 1/2 cups sugar and 1 tablespoon finely grated lemon zest into a large jar (at least 1 quart) with a tight fitting lid. Add 1 1/2 cups very hot water and secure lid. Shake jar until sugar dissolves. Add 1 1/2 cups freshly squeezed lemon juice and put lid back on tightly. Refrigerate until chilled and ready to use. 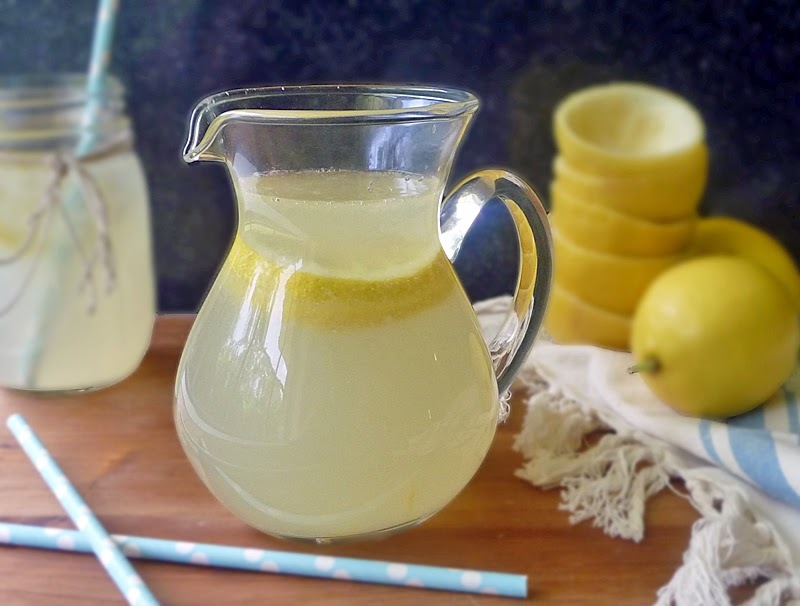 When ready to serve, you can make a pitcher full of lemonade by pouring 2 cups lemon syrup into a pitcher and adding at least 4 cups cold water. Give it a taste and add more water to your liking. For single servings, pour 1/4 cup lemon syrup into an 8 ounce or larger glass and add at least a 1/2 cup of cold water. Add more water as desired. I like mine tart, so the measurements given should yield a lemonade that will make you pucker up! Enjoy! Two Tomato Chutney from What Smells So Good? We love homemade lemonade. It taste so much better. Great recipe. Ohhhh, I love lemonade and homemade is the best!! Great idea to make the syrup for lemonade so that you can make it to your liking! Looks great! There is nothing like fresh lemonade in the summer! If you like lemonade - the Lemonade Cookbook has a bunch of great interesting combinations. It's a ritual of mine when we are in LA to visit Lemonade and try their new combos out. 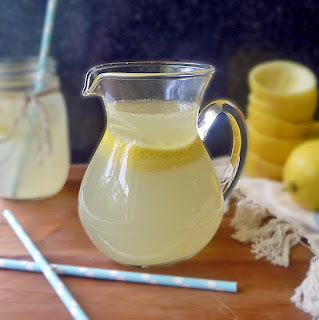 Love homemade lemonade and yours looks so good, the perfect summer drink!! Nothing beats fresh squeezed lemonade on a hot summer day! There is nothing better than fresh lemonade in the summer! What an awesome BBQ beverage! I just realized I've never made fresh-squeezed lemonade before (only that packaged powdered stuff). Marion, it's so nice to meet you at your actual blog finally, phew! I love this tutorial--my mom is the queen of lemonade in our household and we choose to use honey rather than sugar, but this sounds SO refreshing right about now. You've got the summer BBQ theme right on the nail--awesome choice! There is nothing better than a glass of homemade lemonade on a hot day! I love that each person can adjust to their personal taste. Those concentrated frozen juices are too sweet, and you are right, homemade lemonade is outstanding! I love that this can be served according to taste! It looks great too! This would be so refreshing on a hot summer day. Pour me a glass please! Fresh lemonade is the only way to go in my opinion. Been ages since I made some and since it is really hot I think I should make a batch tomorrow. There's nothing like fresh squeezed lemonade on a hot summer day! I like the idea of the lemon syrup! Nothing tastes as good as fresh squeezed lemonade on a hot summer day! Fresh lemonade has got to be the best drink ever on a hot day! !